At this point, the instructions will guide you to give one-time, monthly and /or set up an electronic funds transfer, etc. Or, you can send a check to the SIM USA headquarters made out to “SIM USA”, PO Box 7900, Charlotte, NC 28241 – Remember to indicate our SIM number #036556 in the memo section of the check. *Medical Insurance is our most expensive line item, and here is why: N&ger is severely underdeveloped, therefore it’s medical system is not adequate or up-to-date for emergencies. Our coverage must have the option for “Medivac”, which is the emergency evacuation of a sick or injured person to France or other modern facility for treatment. 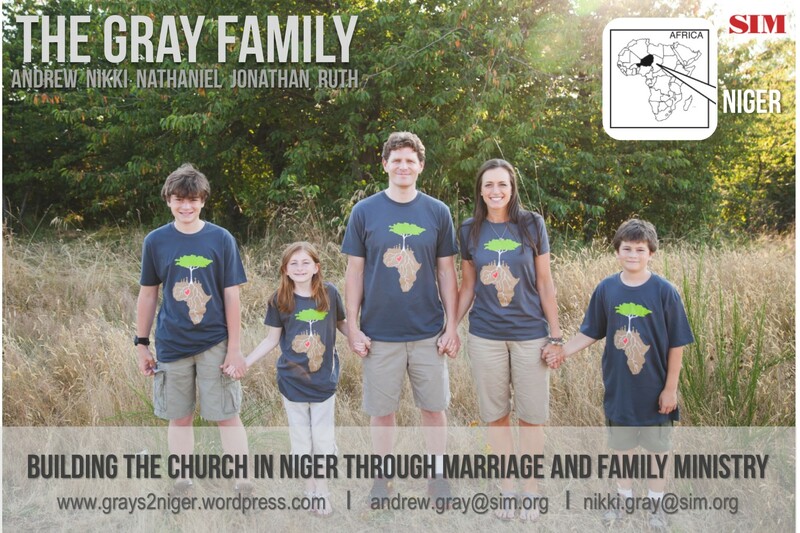 Your financial support is tax-deductible, and more importantly, it is a tangible way for you to connect with the ministry in Niger. By financially giving to our family, you are truly part our team. We will communicate with our support team regularly, providing opportunity to learn about African Christians, see them grow as individuals and families, and gain insight about a part of the world that is vastly different from the United States. We cherish the team, and pray for them to grow deeply from the partnership. One-time or Yearly gift partnership: Give any amount one time, or yearly. Or, send a check to the SIM USA headquarters made out to “SIM USA”, PO Box 7900, Charlotte, NC 28241 – Remember to indicate our SIM number #036556 in the memo section of the check. You will receive a tax-deductible receipt from SIM through the mail for any financial gift to us.